Increasing exposure to polluted air and a growing and aging population have meant that India now rivals China for among the highest air pollution health burdens in the world, with both countries facing some 1.1 million early deaths due to air pollution in 2015, a study said. Air pollution is the leading environmental cause of deaths worldwide according to the State of Global Air 2017, a new, first annual report and interactive website launched at www.stateofglobalair.org. The report also finds that 92% of the world’s population lives in areas with unhealthy air. The analysis found that China and India together were responsible for over half of the total global attributable deaths. All told, long-term exposure to fine particulate matter -- the most significant element of air pollution -- contributed to 4.2 million premature deaths and to a loss of 103 million healthy years of life in 2015, making air pollution the 5th highest cause of death among all health risks, including smoking, diet, and high blood pressure, said the report released in Boston, US. “We are seeing increasing air pollution problems worldwide, and this new report and website details why that air pollution is a major contributor to early death,” said Dan Greenbaum, president of the Health Effects Institute (HEI1), the global research institute that designed and implemented the study. “The trends we report show that we have seen progress in some parts of the world – but serious challenges remain,” he added. Although there are many parts of the world where air pollution has grown worse, there has also been improvement in the US and Europe. The US Clean Air Act and actions by the European Commission have made substantial progress in reducing people exposed to PM pollution since 1990. The US has experienced a reduction of about 27% in average annual population exposures to fine particulate matter with smaller declines in Europe. Yet some 88,000 Americans and 258,000 Europeans still face increased risks of dying early due to PM levels today. In 2015, the highest concentrations of combustion-related -- fine particulate matter were in South and Southeast Asia, China and Central and Western Sub-Saharan Africa. 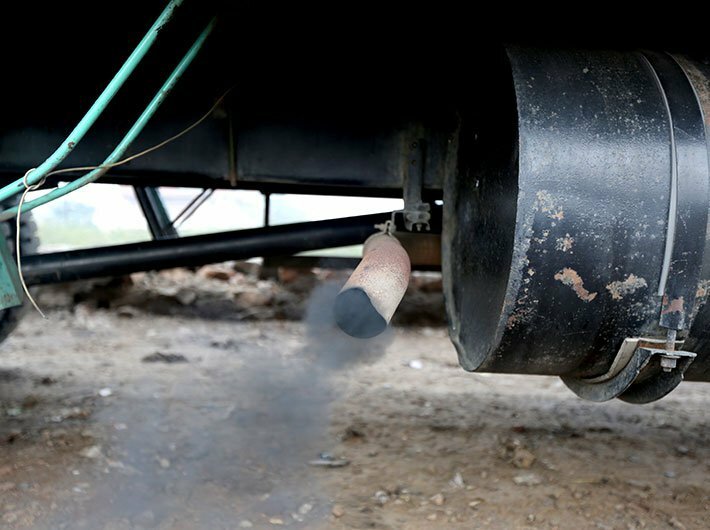 Household solid fuel use, coal-fired power plants, transportation, and open burning of agricultural and other wastes are among the most important contributors to outdoor air pollution.